Instead of £29.00. You save £1.45 due to the online discount . 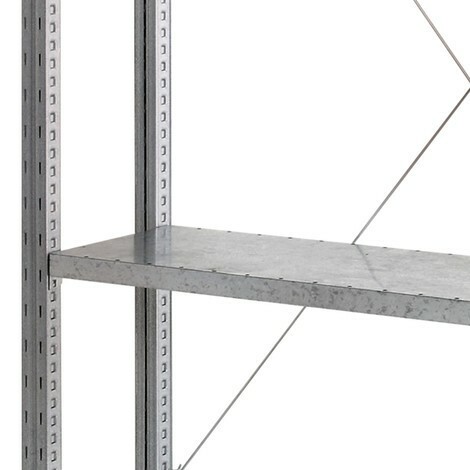 The shelf for the rack shelf with steel panel shelves is galvanised and therefore protected against corrosion. Thanks to the innovative boltless system, it can be quickly installed and converted. If necessary, the shelves can be laid with steel panels.